Since our family moved to Puerto Rico just 6 months ago, we have moved three times trying to find a home that suits our needs. Our first rental was a short term home rental while we decided on the best neighborhood to live in. It wasn’t bad, but not ideal, in a congested area of Guaynabo, just outside San Juan. 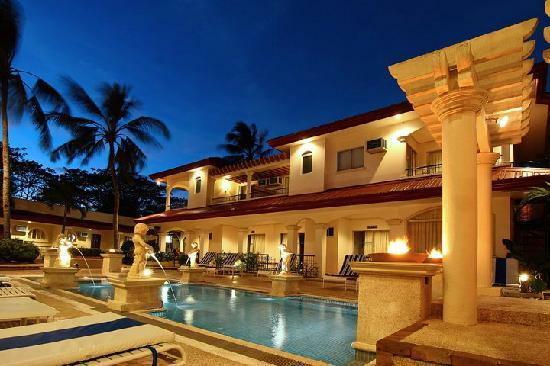 The second rental was a stunning home in Palmas Del Mar. Beautiful with breathtaking beach views, the house quickly fell apart around us due to years of neglect, leaving us scrambling to move to a house with working appliances and more reasonable maintenance costs. Now we are on our third move, we’ve learned a little bit about renting a home in Puerto Rico and what to look out for. Knowing what to look out for in a Puerto Rico rental can save you a lot of money, time and headaches, especially if you are moving with small children. Whether you are looking for a Puerto Rico vacation rental or a long term rental in Puerto Rico, it’s vital to do your research! 1. Check for cell reception in all of the rooms. The last thing you want is to be unable to use your cell phone in your new home. 2. Make sure windows have good screens without holes. Electricity costs are high and you want the option to open them without being plagued by mosquito bites, especially with the threat of Dengue Fever and Chikungunya. 3. Check all air conditioners, and ask if they are new (high conversion ideally). Homes in Puerto Rico usually have separate air conditioning units for each room to save on electricity costs and older units will drive up those bills. If the home is a beach rental in Puerto Rico, the units rust quickly and after just a few years, they will need to be replaced or serviced. 4. Check all appliances, including the refrigerator ice maker to make sure they turn on and function properly. 5. Check the water pressure on cold, on hot, on both, and how long it takes to get warm. 6. Bring a socket tester and test all outlets. Also make sure there are enough outlets in each room, and enough 3-prong ones. 7. Check to see if bathrooms have outlets. We have encountered many that don’t. 8. Be aware of what bugs you may encounter and ask about pest control. Is it provided? Get a quote on costs. Expect to encounter ants, roaches (flying Palmetto bugs), centipedes, spiders and beetles. There are bed bugs in Puerto Rico, but mostly in hotels and vacation rentals. 9. Assure the windows are double-paned/double-glazed and in good repair if the area is cold to avoid high cooling bills. See if the windows open and close easily. 10. Check the washer and dryer units to see if they are newer, energy saving appliances. Older appliances will drive up your costs. They also may contain rust, which will ruin your clothes. 11. Be wary of any musty smells that could indicate water damage. Check walls and ceiling for peeling paint and water stains. Too many air fresheners may be an attempt to hide this. It’s common to have leaky ceilings and windows in older units. 12. Fill all sinks/tubs. Drain simultaneously and flush each toilet during. 13. Ask how much the electricity bills, water and any other bills you are responsible for will be. Expect them to be much higher than in the U.S.
14. Check to see if you have a designated parking spot (and assure its cost, if any, is satisfactory). How many visitors can you have at a time & is that enough for you? On a Fri/Sat night, or any other evening/night, are there even any available spots? What happens if someone takes your spot? Can you park on the street? 15. Drive through the area during rush hour if commuting via car. 16. When driving around, take note of what kinds of cars are parked around, and if they’re substantially different from yours, your potential new neighbors lifestyle may differ from your own. 17. Find out who does the maintenance (some handyman, a legit company, the landlord?). What are their policies on work orders? What is their response time guarantee for after hours emergencies? If it’s just a single landlord and not a property management company, do they have someone you can call when they go on vacation and the appliances break? 18. Make sure the building managers or owners are local. If not, make sure they are responsive and have local service providers you can contact. 19. When scoping out potential neighborhoods, check out the local grocery stores to get a good sense of the type of people that live in that neighborhood. Also check the closest gas station late at night. 20. Check your responsibilities as a tenant. After moving in many landlords require you to pay the cost of a stopped up toilet, pest infestations, and require you to maintain the yard and pool. They may also require you to pay the cost to fix supplied appliances. 21. Dress well, and always suggest a lower rent price. 21. If the leasing agent or landlord promises to do something before you move in, it needs to be written into the lease or it may not happen. 22. Assure the unit has adequate storage space for your needs. 23. 1st floors are most convenient for thieves, and the most frequently broken into. Ask neighbors about safety and make sure any security system is in working order. Have there been any recent break-ins in the neighborhood? 24. If there’s a homeowner’s association, find out its rules and any fees. 25. Find out the policy on smoking, pets, noise, and visitors. 26. If you must break the least, what are the consequences/options? 27. Try to get a look at as many different options in the area as possible so you can see if what they’re offering is competitively priced for the size/type of unit you’re seeking. 28. Take a video/photos prior to moving in to document the condition of the unit. Do the same should any damages occur during your tenancy and after you vacate the premises. 29. Be aware that Puerto Rico does not have tenant rights and rental laws like the U.S.. Any litigation is part of greater civil law. See below for links. 30. Puerto Ricans prefer to get agreements verbally, and then follow with a contract. Make sure to take notes about the agreement and take the initiative in making sure everything agreed upon is in the contract with the landlord. Real estate agents will often agree to anything in person and not follow through once the contract is signed. 31. We learned this the hard way: TAKE A PICTURE of your electricity meter box the day you move in and again the day you move out. The electric company does not take daily readings and this could save you a lot of money and hassle if there is any question about what part of the payment you are responsible for. There is no explicit rule on the maximum amount of security deposit that a tenant should pay to the landlord. This would depend on the lease agreement between the two parties. The usual practice, however, is a security deposit equivalent to one month’s rent. What rights do landlords and tenants have in Puerto Rico, especially as to duration of contract, and eviction? Leasing agreement in Puerto Rico is relatively flexible. Lease may be daily, monthly, or yearly. Landlords usually allow tenant to use the security deposit as the tenant’s last month’s rent, but tenant must ask for the landlord’s permission first. The landlord may lawfully evict the tenant upon expiration of contract, default in payment of rent, breach of lease contract, or misuse of premises. A tenant who’s in the military service may want to include a clause in the contract, known as military clause that will permit him to cancel the lease prematurely because of military transfer, or early retirement from service when supported by military orders. Unless otherwise stated in the lease, the lease is automatically renewed if tenant holds over for 15 days with agreement by the landlord. If rent is on a yearly basis, renewal is for one year; if monthly, one month; if daily, one day. There is no Landlord and Tenant Law in Puerto Rico. Instead, the basic legal arrangement between the tenant and the landlord is called a contract, and is regulated by the Puerto Rico Civil Code. Contracts or lease as is usually called may be verbal or written and are binding between parties. A lease is simply a set of agreement between landlord and tenant as to their respective duties and responsibilities. Basically, the tenant agrees to pay the rent on time for the use of the property and in return the landlord agrees to maintain the property for the tenant’s use. DACO protects the rights of the consumers. Contact them for a summary of aspects related to contracts, property rentals, etc., covered in the Puerto Rico Civil Law (Código Civil de Puerto Rico). Advice for landlords and tenants, focused on the rental business in Puerto Rico. Do you have any tips or questions about renting a home in Puerto Rico? Share in the discussion below! Thank you for this rather comprehensive report. It is very helpful and allows for a fast and efficient integration of a new commer.